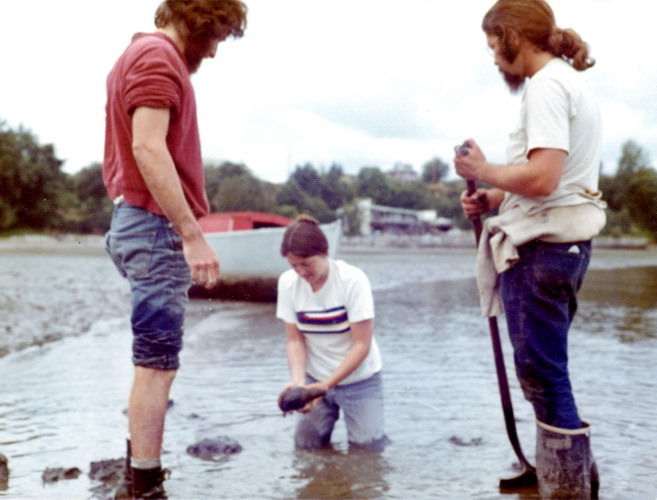 Geoducks ('gooey-ducks') are giant Northwest U.S. clams that are wonderful to eat if tenderized correctly. My wife and I had some yesterday with some friends, who had hauled them out of their freezer, thawed them, skinned them, pounded them flat with a mallet, breaded them, and pan-fried them in garlicked olive oil. Yum. 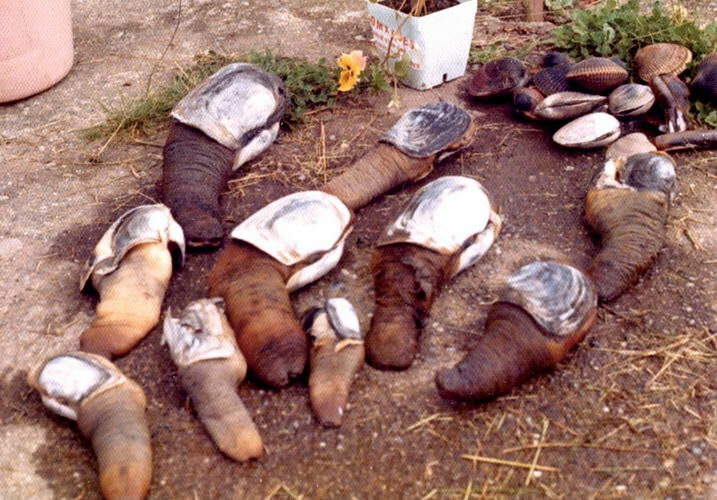 This reminded me that I had some really old images of geoducks from my past. 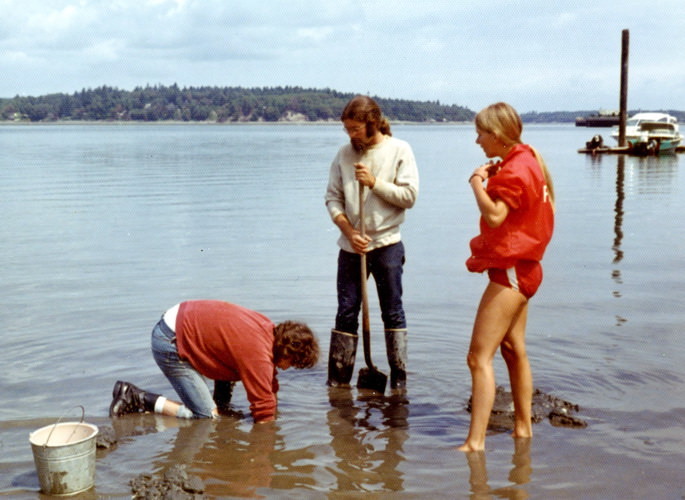 So, from the wayback machine, here I am (in the maroon sweatshirt) digging them up in 1973. Ooh, nasty! I bet the first person to eat one was very brave and very hungry! Yuk, very nasty looking. I’ll take your word that they’re delicious when properly prepared. Do I see a beard? Yes, this was during my '5 acres and self-sufficiency' phase, before I got back into wet shaving. I believe you completely when you say they taste good when prepared and cooked. However, after seeing them in their naked glory, I'll pass. But thanks for sharing the old photo.